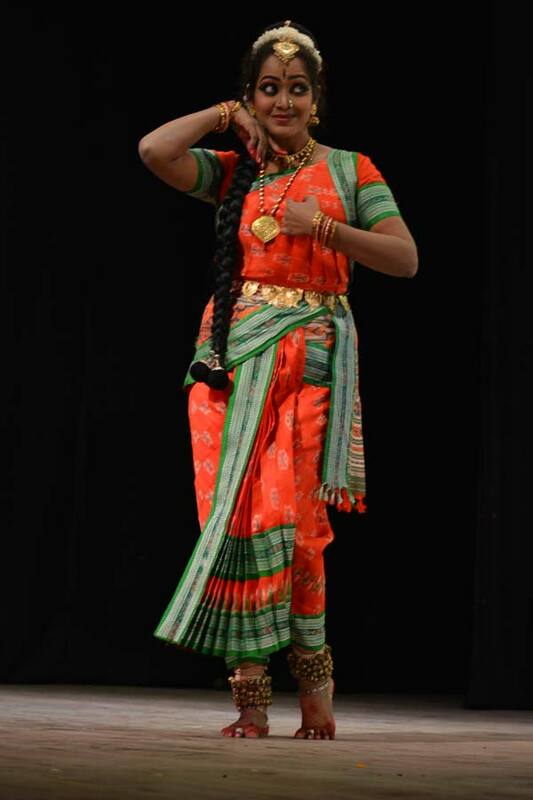 Yashoda’s creative and academic research have resulted in many an artistic output, not just a solo works, but as group choreographic ballets too. This is the story of Upagupta, a disciple of Buddha and the dancer Vasavadatta. After being spurned by Upagupta, a distraught Vasavadatta falls from grace before she is redeemed by him, she undergoes an inner transformation and learns to appreciate herself for the magnificence that is within her .While the impermanence of material pleasures, the fallacies of vanity and the joy in freedom are themes of profundity that are ubiquitous in Indian literature, this story brings to fore the need for one to understand and appreciate ones’ inner beauty and the essence of love. This is Yashoda’s interpretation of the timeless story of Goda devi and Sri Ranganatha Swamy. The profound verses of Tiruppavai are used in this riveting tale of love and bhakti told in Telugu. Paripoorna Ganga traces the story of the mighty river of India- Ganga. The story from her birth to her final destination-the Ocean or Saagara, has been sourced from various Indian scriptures. While doing so, the geographic route of the river is also elaborated. It is a musical production with very small portions set to verse and hence appeals to varied audiences. Gopika Gitam is the song that broke out of the gopis’ hearts out of pangs of separation from Lord Krishna. They follow his footprints into the forest and all along sing in fear of the hardships He must face in the forest, in sorrow of not being with Him. When the Lord finally does appear they dance in gay abandon- Rasa Leela. Each gopi sees her Krishna and is overjoyed. They revel in the presence of the omniscient Lord. Setubandhanam talks of that particular part of Ramayana where Rama is separated from his consort, Sita and has to cross the ocean to bring her back from the evil Ravana. He does this with the help of many animals who help him construct the Setu or bridge across the ocean. While doing so they reminisce about the various stages of his life. They are enacted here. Extracts are from Valmiki Ramayana and Tulasi Ramayana apart from popular songs of various Indian languages. In the enclosed clipping of the presentation, only one artiste performs. There is scope to perform Setubandhanam involving multiple artistes.